Independent international game development group. ModDB Mod of the Year Begins – TNM Characters Urge You to Vote! The time has come once again for the annual MOTY awards. Coincidentially, TNM is a mod which was released this year! After 7 years in development, we’re extremely excited to finally have the opportunity to compete in the category of released single player modifications. Over the next few weeks, we’ll be featuring a series of educationally awesome videos to bring you up to speed on exactly why TNM should be your mod of choice. So sit back, relax, and enjoy as OiNutter tells the whimsical tale of the fantastic holiday of Melkmas! Do you feel enlightened? I’m sure you do, so head on over to our profile and vote for TNM! Since our last update, quite a few TNM-related things have happened. In the “new stuff” category, we’ve released the final patch, version 1.0.4, for The Nameless Mod. After quite a bit of testing, we’re confident that TNM is now free of major bugs and glitches, and we’re satisfied enough with its current state to declare that this will indeed be the last official update for the game. Meanwhile, wrapping up the final patch has allowed us to release all our development files as a sort of SDK (Software Development Kit). We hope that this will allow some of our more enterprising fans to make their own tweaks to the mod, and that fellow modders will be able to use our code and our assets to augment their own projects. You may download the SDK here. Finally, this week we published our official soundtrack! It’s been a long time in development as we’ve carefully remastered and edited all the tracks from the game and lovingly designed the lavish 2-disc package to make it a worthwhile purchase. 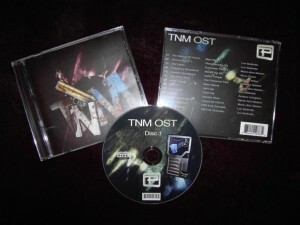 You can order the disc set from CreateSpace for the modest price of $11.65 plus shipping, all of which simply covers the cost of printing – as with the DVD version of TNM, we make no money from the sale of the soundtrack. If you would rather not buy a physical copy of the soundtrack, the whole thing is available as downloadable disc images from ModDB including the artwork to print. Simply mount the images in a virtual drive or burn them to a couple of CD’s and enjoy excellent free music! That’s all the new stuff for now. In the “other people’s opinions” department, we’ve been honoured with two pieces of coverage from highly respected British PC games blog Rock Paper Shotgun. 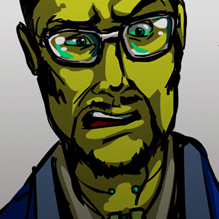 First, travelling games journalist Quintin Smith praised The Nameless Mod after playing through the new version 1.0.4. A few days later he followed up his article with an interview with me about the process of developing the game and our design philosophy. That’s all for now, but keep an eye on this blog and our ModDB profile throughout the next month, as we’ll be gearing up to the MOTY awards by releasing several entertaining promotional videos as well as the final videos in our developer commentary series. 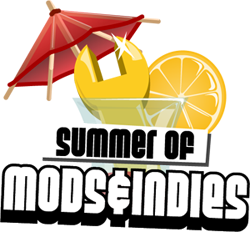 ModDB has fired up a new promotion titled “Summer of Mods and Indies“, and we’re extremely excited about it! The idea behind the promotion is to get the word out about the best mods from the first half of the year, mods that are often forgotten by the time their annual Mod of the Year contest rolls around. While there are no prizes for SoMI, the publicity they’re providing to participating mods is fantastic. This week, The Nameless Mod will be featured, and we’ll be showcasing some very exciting content. They’re starting off with a pimped out, whiz-bang version of our post mortem. For those of you that have already read the post mortem, it’s still worth checking out just for the eye candy; we provided them with a lot of previously unreleased images from development and I’m sure there’ll be some interesting bits of eye candy in there! Of course, we don’t want to just rehash old material, so we’ve spent the last couple of weeks putting together some juicy bits of TNM media that you’ll be able to check out later in the week, so keep an eye on the promotion page, and be sure to check out some of the other mods as they go up! If we’d known what we were getting ourselves into, we’d have run away screaming. 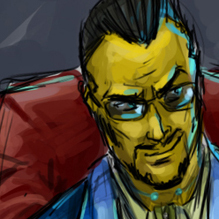 The Nameless Mod for Deus Ex stands out for a couple of reasons. First of all, it’s a single-player total conversion, which isn’t the easiest or most popular category of modification on the internet. Secondly, it’s enormous: The Nameless Mod features over 14 hours of voice-over, the average length of a playthrough is 15 hours, and that’s just playing one of two significantly different, mutually exclusive plotlines. Third, and arguably most notably, The Nameless Mod has been finished and released to very favorable reviews. The project was in development for seven years, two months, and 11 days by an international team of hobbyists who never met each other. It placed enormous demands on communication, leadership, and quality assurance, and to top it all off, it started as that most reviled of genres: forum fan fiction. And then I go on to talk about the development process and describe 5 things that went right and 5 things that went wrong, in the usual fashion. It’s as honest as I could make it, and I hope people will find it interesting and perhaps even be able to learn something from it or at least gain some inspiration. The post-mortem may be found here. Australian games magazine PC PowerPlay has reviewed The Nameless Mod in their June 2009 issue. The review takes up 2 full pages and ends with ratings of 10/10 for Gameplay, 9/10 for Innovation, 7/10 for Polish, and 9/10 overall. There are also numerous TNM references throughout the magazine, including a mention on the cover and a review editorial explaining why the magazine chose to review TNM as a game rather than a mod. You can check out a few scans on Jonas’ Blog. The Nameless Mod can also be located on the magazine’s cover disc. A good taste in games is something the Australians share with the Germans: GameStar, perhaps the best-selling computer gaming magazine in Europe, has given TNM a full-page review in their June 2009 issue, giving it a perfect score of 5/5 in Design, Scope, and Fun. In addition to these impressive reviews, a couple of interviews have also been published with members of Off Topic Productions: GameSetWatch and Gamasutra have interviewed Jonas and Lawrence as part of a series of articles looking at alternative games, indie titles, and mods. Among other things, the interview deals with how it was possible to keep the team interested for so long and how the game’s design has changed during development. You can check that out here. PCPowerPlay, not content with all the coverage they’d given us in their magazine, has published a 3-page interview with Lawrence, Jonas, and Shane on their website. The interview touches such topics as post-release support and why non-linear games are so interesting. Read the full interview here. Check out teknikal’s gallery for more eye pleasing paintery. For a bit of a peek behind the scenes of the development of The Nameless Mod, ModDB has just published their Developer Banter segment featuring Lawrence Laxdal, Jonas Wæver, and Shane Tapp of Off Topic Productions. Recorded a month before the game was released, it offers a pre-mortem look at the design principles behind the game and the process of developing TNM. The informal interview deals with the role of feature creep in mod development, keeping the story in check, designing an open-ended yet narrative-driven game, balancing the wish to trust the player with the need to impart the necessary information, the team’s plans for the future, incorporating community engine enhancements, the advantages of modding to game developers, the health of the Deus Ex community, our favourite moments in the mod (including funny bugs during development), and advice for other modders. 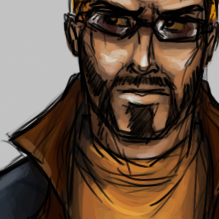 The Nameless Mod for Deus Ex is one of the most ambitious single player modifications ever created. Seven years in development, its features include 2 unique storylines with an average of 15 hours of playtime each, over 50 non-linear levels, more than 70 characters, and over 14 hours of fully recorded dialogue. All of this is built on the classic Deus Ex mix of FPS and RPG action and is now available for PC gamers everywhere. Download it from www.thenamelessmod.com. Off Topic Productions is an independent development group with members in America, Europe, and Australia. OTP’s goal is to develop detailed and open game worlds with responsive, immersive narratives. TNM is OTP’s first release. Well, if it isn’t a blog. What do you know? Not much to see here yet, but lots of TNM-related stuff over on my own blog. Perhaps I should start to mirror such content here.